A recent case shows that practitioners should beware the Home Office’s use of consent orders in judicial review claims, write Kim Renfrew and Naga Kandiah of MTC & Co. Solicitors. Our client SP is an asylum seeker of Sri Lankan origin. SP submitted further evidence to the Home Office, to support his claim to have a well-founded fear of persecution. 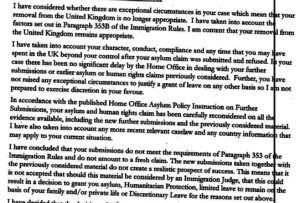 This was rejected as being insufficient to equate to a fresh asylum claim. SP proceeded to challenge this refusal by way of judicial review. Permission to apply for judicial review of the decision was granted on all grounds by the Upper Tribunal. The Home Office responded to this grant of permission, by offering to consent to reconsider the decision by way of consent order. But the reconsidered decision was in substance identical to that initially challenged. It is a well-established principle that permission to apply for judicial review will not be granted unless the substance of the decision would be affected by compliance with correct procedure. Clearly, the original decision was deemed to be defective by the court. In her reconsideration, the Secretary of State has issued a decision which is in substance the same, albeit with a slightly more detailed analysis of the claim. Yet the refusal retains the same rejection of a prospect of success under paragraph 353. This means that the Secretary of State’s offer to reconsider has had no material effect and runs contrary to the reasoning of the judge in granting permission to apply for judicial review. In order to proceed with his appeal against the Home Office’s decision, SP has no choice but to make a further application for permission to apply for judicial review. The approach of the Home Office runs contrary to the principles of justice and fairness. 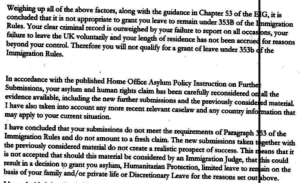 The Home Office hands out consent orders in an attempt to force applicants to withdraw their claims. It would appear that a decision by the Upper Tribunal that the Home Office’s decision making was Wednesbury unreasonable has greater weight in influencing a more favourable fresh decision than the Home Office agreeing to reconsideration by consent. 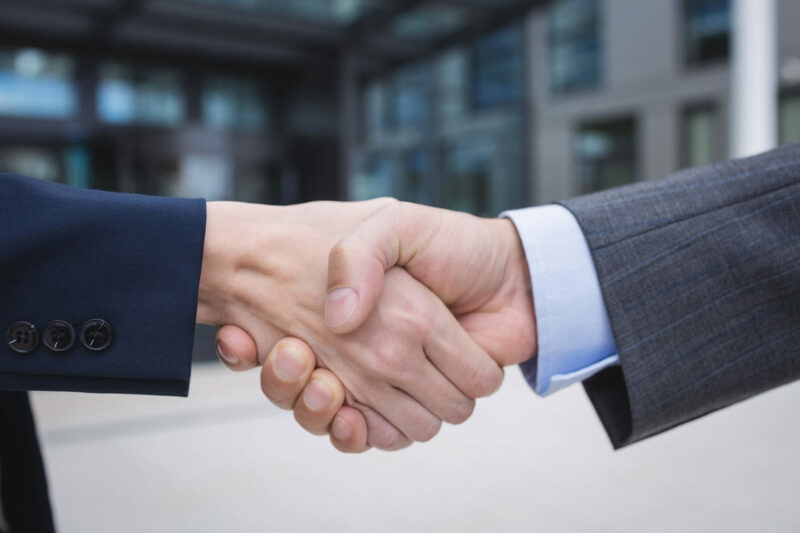 In light of the experience in the case of SP, and other cases covered on this blog, reconsideration does little more than buy additional time and the outcome may be a decision which is not materially different. The impetus for the Home Office to issue such consent orders may find its origins in the backlog of immigration judicial review cases. The reconsideration of such decisions via consent order appears more like an attempt to slow the build-up of judicial review cases, rather than to deliver a just outcome to applicants. Ultimately, this undermines the rationale for judicial review as providing a system of protection for those adversely affected by poor decision making of public bodies. The Home Office will often agree to pay the claimant’s legal costs, which translates as a drain on public expenditure. If new decisions do not address the issues challenged by way of applications for judicial review, this is a waste of taxpayers’ money. Further, it is a waste of time for genuine applicants and their representatives, who are left in limbo regarding their claims. Naga Kandiah is currently a Consultant Solicitor at MTC & Co. Solicitors. He specialises in immigration, crime, asylum and human rights law and private prosecution, with expertise across a wide range of immigration work including assisting detained clients, working with war crime witnesses and victims of torture. Mr Kandiah also regularly represents vulnerable clients with severe mental or physical health issues, having successfully acted for clients in complex asylum, deportation and entry clearance appeals. Mr Kandiah is particularly committed to representing individuals who have suffered injustice because of the way their cases have been processed by the Home Office and those encountering a breach of their fundamental human rights. As a solicitor, he strives to deliver an exceptional duty of care to his clients, providing support and guidance to those seeking justice and humanitarian protection.